eBooks are proliferating, and the trend toward reading more content as bits instead of atoms (in digital rather than paper-based forms) is going to keep gathering momentum in the months ahead. In July 2010, NPR reported Amazon.com sold more eBooks than paper-based books in the first half of the year. This is a telling statistic. Rather than lament “the death of the book,” we should celebrate. The widespread use of moveable type in Europe in the mid-1400s was perceived as “bad news” for some leaders of the Christian church in Rome, who wanted to maintain their hold own power by perpetuating ignorance and limiting the access “regular people” had to the written word. (Especially the Bible.) Today, the move to electronic texts is a fantastic development for people interested in learning, access to ideas, and publishing. 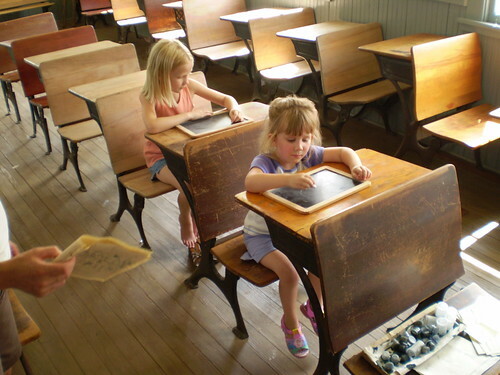 It’s probably bad news for people who want to perpetuate traditional modes of classroom learning prevalent for the past one hundred years. 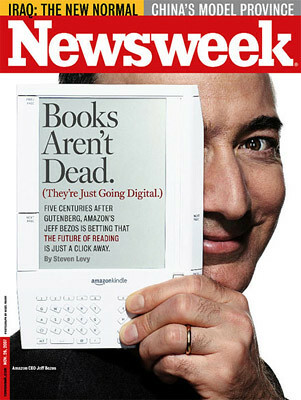 Adam Penenberg’s December 2009 article for Fast Company, “Forget E-Books: The Future of the Book Is Far More Interesting” relates many of the reasons we should be ENTHUSED rather than pessimistic about the rise of the eBook as educators. One of my “homework assignments” for educators in Canyon ISD, Texas, this past July was to read at least ONE eBook soon. If we, as educators, are not knowledgeable and conversant about emerging eBook technologies and the literacy issues which surround these electronic texts, who in our communities will be? It’s incumbent upon us to be “the experts” on learning and literacy, and this means being experienced eBook readers. We live in the era of the “read/write” web, however, so we shouldn’t stop at being simply eBook readers. We also should become (at least experimentally) eBook publishers. 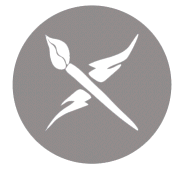 …is a free and open e-book standard by the International Digital Publishing Forum (IDPF). Files have the extension .epub. 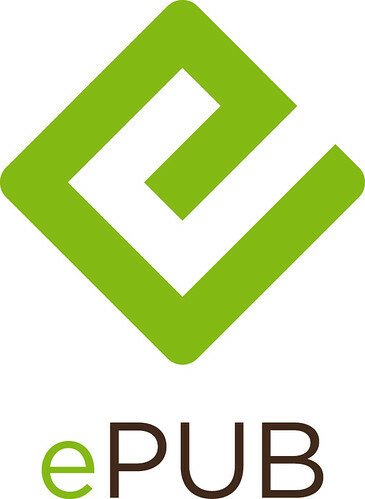 EPUB is designed for reflowable content, meaning that the text display can be optimized for the particular display device used by the reader of the EPUB-formatted book. The format is meant to function as a single format that publishers and conversion houses can use in-house, as well as for distribution and sale. It supersedes the Open eBook standard. The Lexcycle website (source of Stanza eBook apps) lists 13 different software programs for converting documents into ePub format, but does NOT include Pages or Zamzar. Calibre is its top recommended ePub conversion application, and Lexcycle web authors state it does a better job converting to ePub than the desktop Stanza application. After my experiments this weekend with these tools, I can confirm that statement and recommendation to use Calibre. 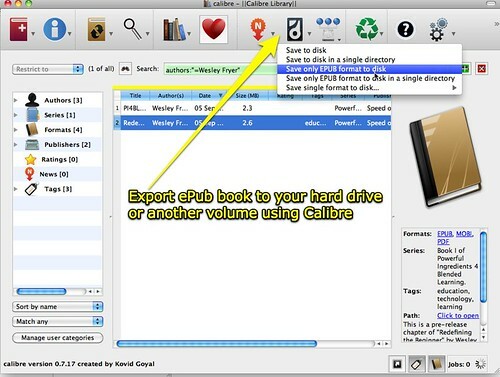 Calibre is an e-book library manager. It can view, convert and catalog e-books in most of the major e-book formats. It can also talk to a few e-book reader devices. It can go out to the internet and fetch metadata for your books. It can download newspapers and convert them into e-books for convenient reading. It is cross platform, running on Linux, Windows and OS X. 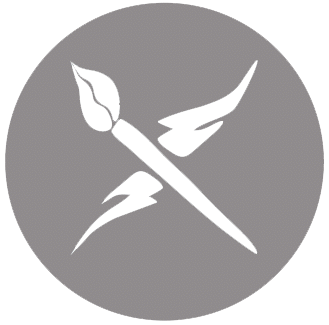 …are a fixed page size and text placement format. Meaning, it is very difficult to determine where one paragraph ends and another begins. calibre will try to unwrap paragraphs using a configurable, Line Un-Wrapping Factor. This is a scale used to determine the length at which a line should be unwrapped. Valid values are a decimal between 0 and 1. The default is 0.5, this is the median line length. 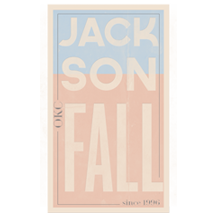 Lower this value to include more text in the unwrapping. Increase to include less. You can adjust this value in the conversion settings under PDF Input. I’ve previously used the Stanza desktop application for Macintosh to create ePub files from PDFs, but was not entirely pleased with the results. Extraneous and unwanted information (like repeated filenames and distorted formatting) was included with the ePub files created by Stanza. For this reason, I wanted to try a different option this time and chose Calibre. 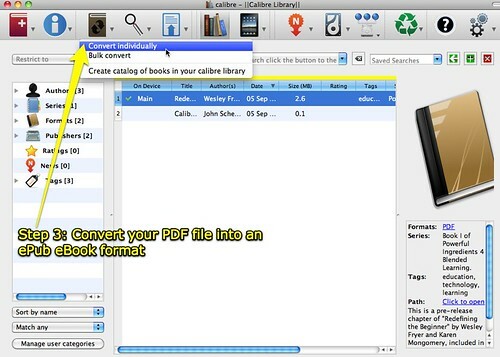 These are the steps to use Calibre to convert and share a document in ePub format. First, download and install Calibre on your computer. Open the program. After getting the program open, the first step is to add the file you want to convert to your Calibre library. You can add PDF files, but NOT MS Word files. The documentation recommends saving MS Word files as HTML files, and then importing that version. I was able to successfully import and convert a PDF version of my Google Doc, but found some erroneous formatting in the ePub version. Instead of using the PDF version and converting it, I downloaded my Google Doc as a HTML file and then imported that version. The resulting ePub file was formatted better and didn’t have the same problems the PDF-converted version did. After you import your file (in PDF or HTML format) into Calibre, the next step is editing the “meta information” for the file. This includes the file’s title, authors, etc. The meta information is hidden inside the file, and used by your eBook reader to properly display information about your eBook. Select your Calibre file and click the second icon, which looks like a white letter “i” on a blue circle, to edit the meta data. In this next screenshot, you can see some of the meta information I entered for this draft book chapter. 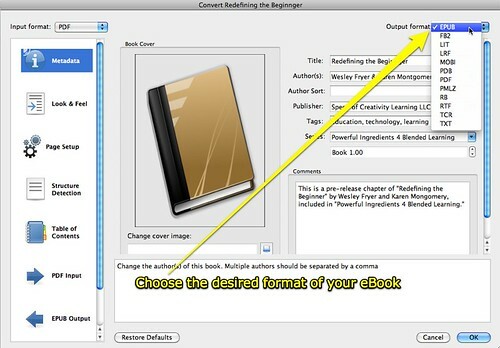 If you don’t have a graphical book cover for the file, on this screen you can choose “generate cover” and Calibre will create cover art for you using the book title and author information you entered. Continuing to go across the top screen of icons available in Calibre, the next step is to select your file and choose to CONVERT it. Be sure to choose the desired output format in the upper right corner. In this case, I’ve selected ePub. The default format for Calibre is MOBI or Mobipocket, but you can change this in the program’s preference settings. After creating your ePub version, you have several options to copy it to your own eBook reader device and to share it with others. I wanted to upload and share the link to our ePub book chapter on our Powerful Ingredients website, so I chose to SAVE ONLY EPUB FORMAT TO DISK. 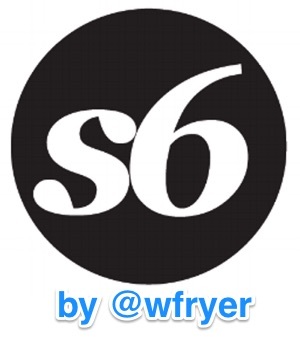 I then took this ePub file and uploaded it to my server, where I linked it for download by students and others. 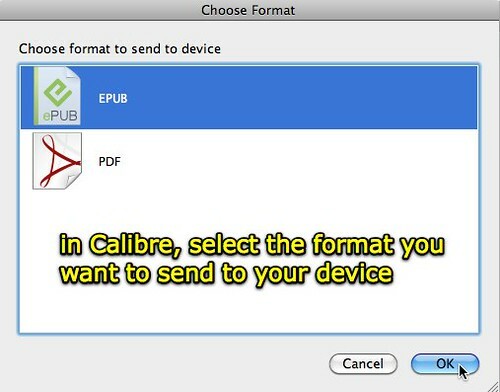 Calibre also provides the option to directly send your ePub ebooks to your ebook reader, using a “content server” feature similar to the way Stanza transfers eBooks. The program temporarily makes your computer into a web server, and when you are connected to the same local network you can use the provided web link to transfer your eBook to the mobile device. You can also directly transfer eBooks, when you have your iOS device (or other compatible, mobile eReader device) plugged into your computer. Overall I’m VERY pleased with Calibre and its functionality. I’m VERY glad to see the included hyperlinks in my document remain “live” and functional in the ePub version. I’ll be curious to learn in upcoming months how to create a table of contents for our “Powerful Ingredients 4 Blended Learning” book, and explore what our best publishing options for this text will be. I’ve taken note of both David Warlick and Sylvia Tolisano‘s decisions in the past year to publish digital versions of their books on Lulu. In both their cases, their digital versions are available as PDFs rather than ePub ebooks. I’m curious to learn how publishing an eBook for distribution directly through Amazon would work. Have you had experiences publishing documents to ePub or another eBook format? What are your recommendations or bits of advice for others on this topic? This is just another thing I need to know: I want to save this particular article on your blog to my Delicious ap. Is there a way to do that? I only know how to save the whole blog. Thanks! Mona: Yes, you can – you want to save the direct link to this specific article (here) and then save THAT web address to delicious. You can click the title of a blog post to go to the “permalink” for that specific post.